Probably the most important is a spiritual benefit. Saint Augustine was once asked: What is the secret of holiness? He said it is humility. Then he said the second and the third secrets of holiness are also humility. In order to grow in holiness you need humility, and there is no better way to become humble than go to Confession. Sin is predominantly an act of pride. So forgiveness comes from the opposite: being humble. There is no greater act of humility than to say, “Bless me, Father, for I have sinned.” And that brings about God’s grace. Just going to Confession and acknowledging that does something for you. No matter what the priest says or doesn’t say, that is a great act of humility. Another benefit of every sacrament is an encounter with Christ. A sacrament is meaningful because it echoes what Jesus did. Jesus healed people, and we have the sacrament of anointing. Jesus fed people, and we have the Eucharist. All the sacraments resonate with the actions of Jesus, and one of the greatest things that Jesus did was forgive sinners. That was a huge part of his ministry. When you go to Reconciliation you are encountering the same Christ who forgave Peter and so many others in the gospels and who welcomed Matthew the tax collector and the other disciples even though they had let him down during his hour of suffering. Reconciliation is a personal encounter with Jesus who is full of mercy and compassion, and there is no greater way to experience God’s love than to experience God’s forgiveness. Forgiveness is not something people deserve. Forgiveness is a gift, and God keeps forgiving us over and over again. When you genuinely celebrate the sacrament of Reconciliation, you genuinely touch the love of this God, and I think that is the most beautiful thing about it. Because we’ve chosen a way of life which says that God is most important, prayer is central to our lives. Think of it as a deep level of communication with God, similar to the kind of communication that happens between any two people who love each other. Our relationship with God grows and deepens with prayer. Written by; ++Archbishop Paul V. Roberts DD., HDD., MPR., APP., M.Ph. In Law., O.S.A., O.S.P., O.S.B., S.O.BB. This entry was posted in CCM's Virtual Chapel, Celtic Cross Radio, Celtic Cross TV, Christian Warrior Network, Religion, Spiritual insight. Bookmark the permalink. Decision Time so What’s it going to be? 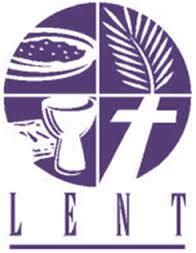 What is the Holy Season of Lent and why should one (you), practice this memorable event. To start, it is a special event practiced by many different religious Christian faiths, both denominational as well as non-denominational. It is a season that should know no barrier. For it can, and will change your spiritual and mortal life. If you truly commit and stick to your promise to God, Jesus Christ and their Holy Spirit. You except God for His word and promises to you and expect Him to stay true and faithful to His word right ? Then that is why this event is special and should be a practice that all people who call themselves Christian take part in. If you don’t celebrate the season of Lent, then ask your minister why not. If you get an answer like, the season of lent is a Catholic thing and were not Catholic, – then ask your Minister if your faith is a Universal Christian faith, then look up the word Universal and point out their error. For all who call themselves a Christian and practice the faith of Christianity are Universal Christians, meaning a follower of the Catholic faith of Christianity. (note here; I said follower of the Catholic faith and not traditions of the catholic church) – (YES folks, there is a real difference). Anyways, you just might find truth in God by doing this, rather than in man. Which will be and is a spiritual gift and benefit given to you of discernment, for opening your heart and mind to the true knowledge of your loving Father, Jesus Christ your Savior. But I regress, it is a time of becoming a new or rather reborn in the spirit of your personal commitment of faith, in not only calling yourself a Christian but rather being the best Christian you and Christ, know you can be. It is a time of reflecting as to the path in this life you are on. 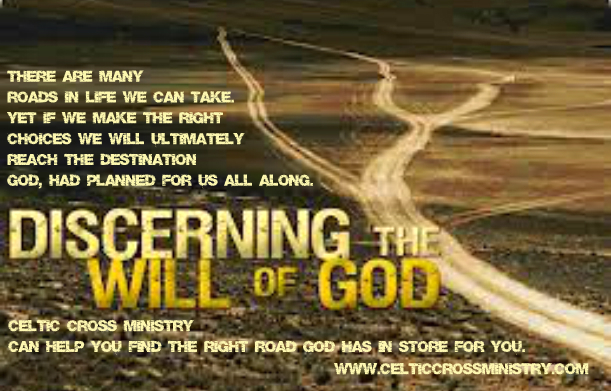 Are you on His path for your life or is your own personal will dictating the path your on. Again folks, there is a major difference here. Ask yourself, are you standing in His light or in the gray outer areas of His light. Sorta of being a Christian part-time or rather sometimes. Rather then being a committed follower of His Holy and devout teachings, for the direction of your life. Let me explain it this way for you. When you make a mistake in life, you say, your sorry. But are you just saying the words because that is what everyone does when they make a mistake or do you truly say it and mean it from your heart. See folks, there is a difference and only you and Jesus know truly the intent of your meaning, when you say your sorry. The event of practicing Lent and it’s traditions, are a lot like this example. 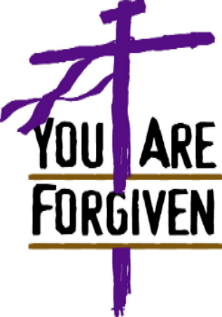 Your participation in the tradition of Lent, is all about being truthful, honest and trusting Gods word over your own self-will and the understanding of His word and will for your life. It is truly a time to reflect on the importance of this understanding. A 100% commitment on your part to His ways for your life. Or choosing mankind’s path of self-centered will, and selfishness, to what you feel, you are owed or want. The season of Lent is about your eternal and immortal soul, as to what path you take in this life. And where your eternal soul will end up, for that eternity. 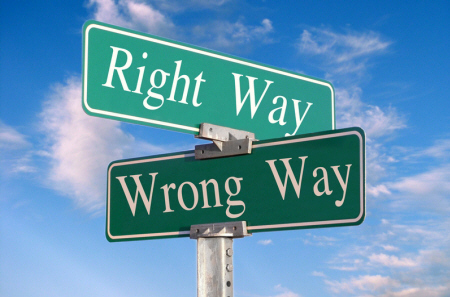 Being it either, a Godly Path of true and unconditional faith to His word and wants for you or the selflessness that leads billions upon billions of men, women and consenting juveniles who know the true meaning and understanding of right and wrong, good and evil and what is Godly and what is not, right to the gates of hell, rather than the pearly gates of heaven. It’s your choice ! And yours alone. It is about personal choice and what actions you are going to take and commit to, in order to get to the final promise of God. Remember He states that being accepted into either place, Heaven or Hell, is a promise he will keep, for you weather you do His will or not in your life. So trust me when I say, there is “NO Excuse” you can come up with that will get you into Heaven or keep you out of Hell. For God is truly all KNOWING. Even of all of your deepest and darkest secrets and they will be known and you will face them. One way or another. In this life time or the next. That is why the choice is yours and you must take seriously those choices you make and commit to. And as in this life, there are always and I do mean always, consequences for the choices we make. and suffering. A sacrifice worthy of Gods gift and through repentance, giving you time to search your heart and level of love for the one who sacrificed His life for you and covered your sinful nature through His suffering and sacrificing of His life and will for you and God the Father. YES folks, it’s that simple. The Holy Season of Lent, is your chance to reconnect with God your Father in away that is truly pleasing unto Him. Truth is fact. Meaning, that no matter what you do or don’t do, God will always love you and never desert you. Yet what this event gives you by accepting it, as the right thing to do, is doing that which is pleasing unto Christ Jesus. Think of it this way, when calling yourself a Christian shouldn’t be just words. It means to pick up your cross, daily and without question through complete unconditional faith and follow Him, obey Him and please Him through your acts all of the days of your life. Not just sometimes but, in all that you do and will ever do from here on in this life. By participating in the Holy Season of Lent and it’s purpose, (meaning, unconditionally in action and faith as was just stated), it gives you an opportunity to do through your own actions what you can not do on your own. And that is, help change the judgment of God from a negative to a positive but, it can only occur through that act of sacrifice of surrendering of your selfish will and true faith. Which is to Love God with all your heart and with all of your soul and with all your being. It will help (through the spiritual gift of hope) to reaffirm your love, commitment and faith, in Him and His ways for you and not what is the way of this world we live in. There is so much about your personal spirituality that you take for granted, it makes you very vulnerable to the deceptions and manipulations of Satan and the misleading actions of others you associate with. It has far-reaching implications that can and will allow you to be influenced to a point that may not be acceptable to God, all because of yours and their, personal choices that affect you and lead you away from the will of Jesus Christ and your faith in Him to see you through until the end of this life. Your eternal soul and salvation is at stake. Lent, is about straightening your resolve to stay vigilant to this fact of faith and in your commitment to serve God fully in the rest of this life He gives you. So take the time to think over this statement and pray about what you get out of it. The Choice Is Yours and Yours Alone. Be it known that in the first sections of this message which refers to, not being 100% committed to walk in His light and His ways, just might need a little clarification and that is that, it doesn’t matter if your 99% in His light or 1% out of His light. Which is to say, at anytime of your day, week, month, year, or even throughout your life time. You are still outside, looking in, wanting and hoping. So why not make it a bit easier on yourself. Gray is not White, although there is some white in the blackness that makes it gray. Your still on the outside of Jesus will for you. It really isn’t a big leap to go from the grayness of Christ’s light, into the total darkness of Satan’s control and will in your life. Which, when I say this, is really, REALLY bad and an outcome that you won’t like. I guarantee it. With that said, does this mean you are completely out of Gods sight, love, mercy and grace, surely not! Not at all! However, if you correct the path your on, then you are not totally lost yet. In other words, there is still hope for you. God will wait for His prodigal child to return. However, as we know all to well, sometimes we don’t return, maybe it’s because we don’t feel worthy or maybe we’ve convinced ourselves we won’t be excepted back into His grace and mercy or maybe it is because we just don’t want to or even, care to anymore. With this said, let me be perfectly frank here. This is what Satan, his demons and mankind will tell you, and may even convince you of. Just to keep you from knowing the truth, the light and the way. It all boils down to your personal choice and your will. Your willful actions must be greater than the loving gracious and merciful generosity, that is God, in your most trying moments. Listen up folks, God will not hound you or force you to choose Him. Nor will He force you from doing what you want. That is what free will is all about. Choice! Your right to do whatever you want, whenever you want and however you want, 100% of the time. Even if, that keeps you from His ways, light, love, mercy and grace. Yet Satan and his demons along with a whole hoard of free willing self-centered and unrighteous human individuals may and will cross your path at any hour, day, week, month and maybe even years to come. Keep in mind that the majority of those I refer to here, do not, have your best interest at heart, they only want what they want, what fore-fills their own personal needs, an desires and they do not care who or what stands in their way. Not even you or the will of God, Himself. Jesus knows this and he is always reaching out to you, and helping you along the way. Thing is, you do not recognize the gray areas any more. Light is bright and darkness hides the true light from you and yet there are always rays of light and hope that somehow, someway penetrate the darkness to help guide you out of your disparity. Keep in mind the reality of what is being stated here, in this case you are lost and time is running out, yet there is truly a light at the end of the darkness. 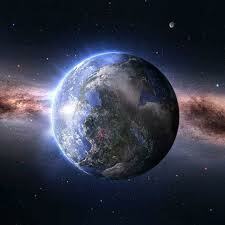 Just look at pictures of our planet from out space and you will see the line between light and darkness. So there is always hope, if you know where to look and what to look for and you take action towards getting it. That is called sacrifice and it is worth it. The promise of eternal peace is always in the presence of the Father no matter what stage of spiritual walk you are in, or spiritual path you are on, or even where you are physically in this world. His hand, and His will are for you and He is always ready and willing to reach out for you ( notice I said for you and not to you. There is a difference here to), and it is always within your grasp. 24/7/365. No matter how far away you may think you are from His mercy, grace, love and forgiveness for you. 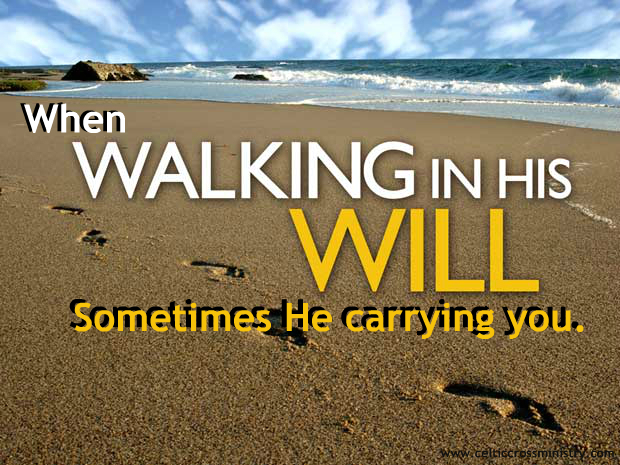 He is right there with you anytime and always in you. If you read your bible, you know what is meant by this. It truly is a wonderful and beautiful thing to be aware of as you wale through life and enduring as he wants you to. Thing is though, you have to want it. Want it as badly or even more so then you ever wanted anything in this world and you must never even stop at anything or let anything get in your way to have it. It is you and you alone that holds the key to your return to Christ. Only you are and your will is holding you back from having what God wants for you. You can’t have it both ways. In our Lords own words, He states you can not love God and Mammon. (Luke chapter 16, verse 13). Which states, “No servant can serve two masters; for either he will hate the one and love the other, or else he will be loyal to the one and despise the other. You cannot serve God and Mammon.” Folks, that is Gods promise to all people, but mostly to those who have lost hope and chose to stay in the ways of this world and going with the flow of unrighteousness which is its path. As an example of this I give you two. First is say you are bullying someone that you feel is inferior to you or you might feel jealous or even threatened in someway or even trying to be the tough person for others around you. This is the type of attitude that is not righteous in the will, nor eyes of God. But you want God to show you compassion and favor in the things you want. Well it doesn’t work that way. In order to receive compassion, mercy, forgiveness you must first show it to others. Which is to say to show some charity and compassion on those you feel have done something to you that you disliked or offended you in someway. Secondly, lets look at an example of anger, yelling, being forceful with your will and demands on another person, be they a loved one or not. Do you think this attitude is showing Charity, Compassion or Love for that person who again you feel is not listening to you or maybe being disrespectful to you in someway? Think of theses attitudes that are a very real part of all human nature as being the devils work with in your being. (Meaning who you are in yourself). 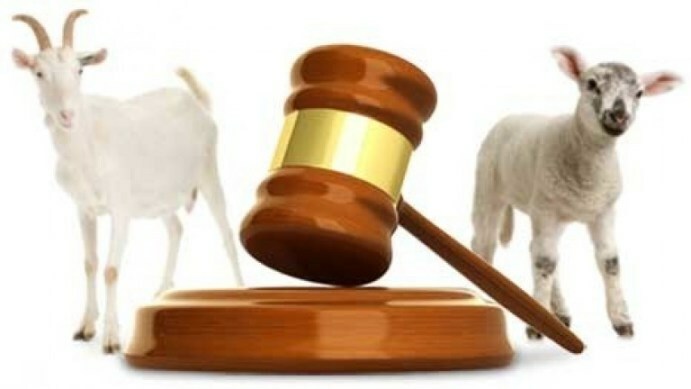 Note, you shouldn’t criticize, yell or get violent towards someone else when it comes to as the book of (Matthew chapter 7, verses 1 – 5) puts it from Jesus own words, which are; 1) “ “Judge not, that you be not judged. 2) For with what judgment you judge, you will be judged; and with the measure you use, it will be measured back to you. 3) And why do you look at the speck in your brother’s eye, but do not consider the plank in your own eye? 4) Or how can you say to your brother, ‘Let me remove the speck from your eye’; and look, a plank is in your own eye? 5) Hypocrite! First remove the plank from your own eye, and then you will see clearly to remove the speck from your brother’s eye. When you are in the light that is Jesus Christ, you are not in this world, not anymore. The lines between light, grayness and complete darkness, become a lot easier to see as well as navigate. Meaning what is pleasing to God and what is not. But your love and will “MUST BE”, without question to stay the course set before you. Working diligently to stay in His Grace, which is His help, love and protection. Or rather put, His Charity, Compassion and Love towards you. That is why a true follower of Christ is called a Christian for to be a true Christian you must be faithful and follow Him and His ways. Nothing else will achieve the promises He has told us about. Which are only gained when you “ENDURE UNTIL the END”, in his ways and on His path for your life and those around you. Faith is something you can not see, you can not touch nor can you taste it, yet you can and will experience it. When and only when you surrender all will to Him and “REPENT” sincerely from your heart to Him. Then you will know without a doubt it is God in your life and not Satan and his manipulators, deceivers and liars. Which is in and of this world you live. Especially your piece of it. You will begin to recognize that all of His words, even those you don’t want to hear or accept, are TRUE meaning FACT. For Christ is the ONLY way to salvation and entrance into heaven. This FACT is testified by Jesus and reiterated in the remarks of John of Christs own sentiment which is found in the gospel of, (John chapter 6, verse 37 which states), “ All that the Father gives Me will come to Me, and the one who comes to Me I will by no means cast out.“ Now that sure sounds like a promise to me, so how about you? Do you see it that way to? Well lets look at (John chapter 14, verse 6 says), “ Jesus said to him, “I am the way, the truth, and the life. No one comes to the Father except through Me.” Again, that sounds like “FACT” to me. That is to say “SPIRITUALITY TANGABLE”. So the question is, is there hope for you? And the answer is YES! But only to those who truly want it and as Christ states, “ And you will be hated by all for My name’s sake. But he who endures to the end will be saved. (Matthew chapter 10 verse 22). That folks, does not mean once saved, always saved. It means you MUST work at your salvation harder than anything you have ever worked for before and maintain that steadfastness all the way through this life. Not slacking off even for a moment. Yet in reality it is only at first. For once you make it away of life, you get to a point where it is like being on automatic pilot. Yet you will always be a “watchman” of your salvation and make the necessary corrections as needed to stay on His path for your life. Faith as with your Salvation, should never be taken for granted. Even for a moment. For if you do, that is all the time Satan will need to misdirect you in one form or another, then when you realize this, you have to work just that much harder to make up for the ground you were misdirected on to get back to the path and direction which Christ has set out for you. 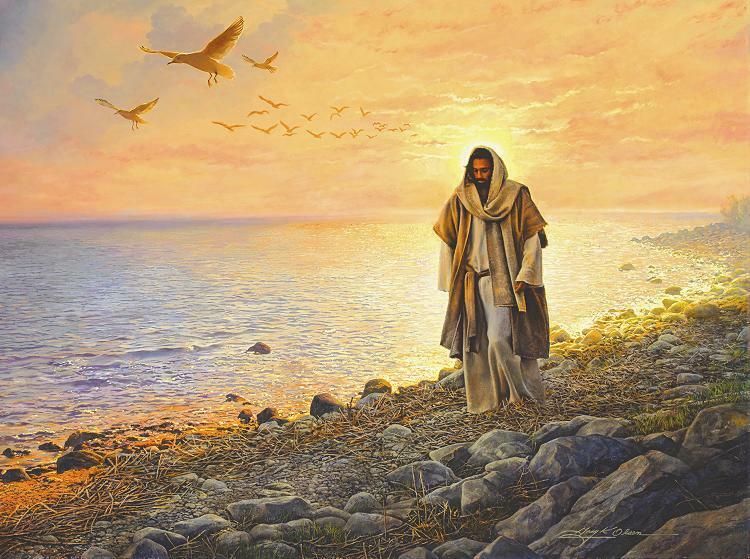 The most wonderful thing is, is that Christ is right there with you helping you to recognize this and make the right course correction to get back in and remain in the good graces of your Heavenly Father. Further more to help you regain that righteousness with God lets look in our bibles again but this time we notice that in (John chapter 6, verse 27), it states, “ Do not labor for the food which perishes, but for the food which endures to everlasting life, which the Son of Man will give you, because God the Father has set His seal on Him.” Which means, the things of this world. Remember, God knows what you have need of and does provide that for you, if you let Him, or whether you realize it or not. It is not you alone that achieves what you have, who you are or that which defines you. What you have in this world, what you get or what you want, is 100% by the will of God. God is your provider, not Satan. All you have, need, want and get is do solely on Gods will and plan for your life. Otherwise you aren’t getting anything. He and ONLY He, provides you with the means to get all things. 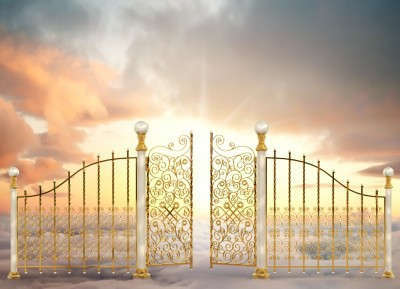 Satan will only give to you what God allows and or what he wants you to have in order to keep you from Gods will and path for your life now and in the eternal life here after. The thing is, God allows it to be so. Not even Satan can have his way with you unless God allows it. If you doubt what I say or figure what’s the use in trying, then you only have to look as far as the story and book of JOB in the Holy Bible. 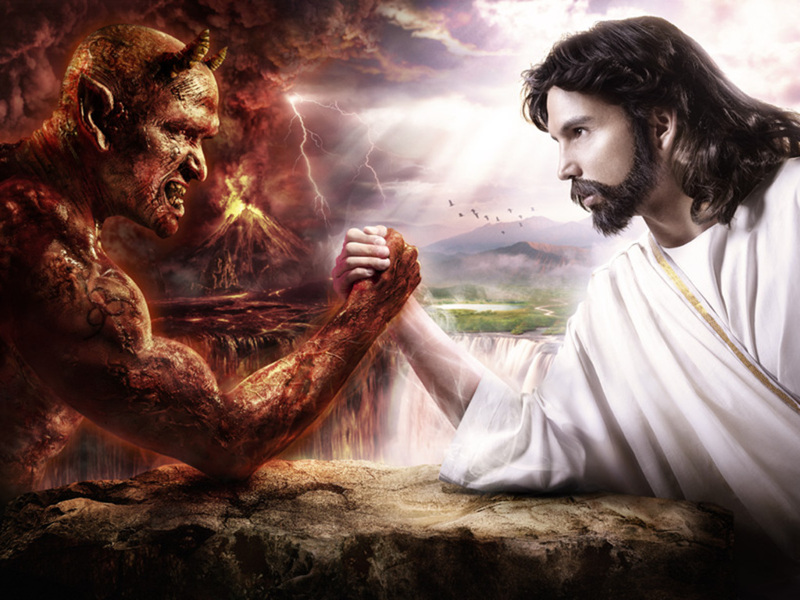 Here even Satan had to negotiate with God to do to Job what he did. Mind you Satan went back to God several times in order to try to lead Job away from God, and God allowed it to be so. Trust me when I say it is an awesome story of true faith and perseverance on the part of Job. So go ahead and read it, then you to will know I speak the truth here. Please I challenge you to try to dispute the things I am telling you and which I refer to here. As another example, look up in the book of (Hebrews chapter 6, verse 15) and see for yourself that it also, reinstated what I am saying in its message and that is “ And so, after he had patiently endured, he obtained the promise.” If you make a genuine effort to correct the path your on and change your attitude from ungodliness to Godliness, then you to will have the promises of God the Father always in your life and here after.. It’s not to late, but time is running out and faster than you think or hope for. Look, I don’t much like preaching “at” people, whether it is needed, wanted or not. It’s not my will I do this and say these things, but rather God in me and His Holy Spirit that is using me as he will you, if you let him. I am strong and bold in Him, not of myself or of my own will but, in He who guides me. So I tell you again, from one sinner to another, anything other than a full effort, all the time, falls short and that shortness is measured, just as our gains are. It is measured by what you do and do not do that is right and good in the eyes of God. Yet, never will you be out of the heart and love that is God, Christ Jesus and their loving and ever Holy Spirit. Read your Holy Bible and you will see the truth for yourself, For the Holy Word of God will endure until the end. I have but one final set of scripture I want to leave you with before you and I part for now and that is to give you a warning, A warning of truth and a promise of God and you can find hope in these disparaging words when you need them the most. I say disparaging for the importance and seriousness for which I want you to take it. AND REMEMBER IT! Remember these scriptures and take them to heart and hold tight to the truth reveled in them. For you may go back on your word, your promise but, I guarantee you, God will not! Look folks, these words and so many more have helped me to see the error of my own ways back to His light and His will for my life and Jesus will do the same for you, If and only if, you let Him help you and guide you. It’s not going to be an easy or even smooth ride back on to His path for your life but, it will be the most rewarding thing you will ever do in this world. And that is serve Him who called you out of your own personal desert and disparity of this world and Satan’s darkness and brought you into His light, His path and His ways for your life. Mind you though, Satan will fight hard to draw you back to his will, yet I know you can beat him even as Jesus did when He was coming out of the desert after His 40 days and nights of fasting and preparation to do the fathers will. You will never be far from Gods love, help, mercy, grace or answer unless you give up on Him. And even if you give up on Him again and again, He will still love you and provide for your “needs”. Just be aware that there will be that one time that there will be no way back. And that will be when you least expect it and he calls you to stand before Him in judgment. Remember no one is without sin, including myself. Everyone alive and dead whoever walked and breathed on this planet has fallen short of the glory of God except Christ Jesus, and yet I fell real hard, out of his grace many, many times, and it is those times that now keep me on His path and doing His will, rather than my own. He has never once forsaken me and He will not you either. We all have to work on the things we know are UN-Godly in our lives if we want eternal peace and happiness in the presence of God. So remember why your here on this planet and that is to learn of Him and His ways just as you would anything else in your life. An always let your mistakes guide you to His way and keep you pleasing Him always. For He is your God, and shall not have any other God before Him. So take time to re-read the 10 commandments, Sermon on the Mount, the four Gospels and you will find what it is you truly are looking for. Besides the many wonderful things you will find out about what is in store for you when you seek Him first and figure out what is pleasing unto Him. Why is it do you think, God gave you another day? Do you think it is so you can be self-centered, self-loathing, demanding, disrespectful, self-destructive and unwilling to obey His authority over your life time with your personal wants, rather than what you need, surly not ! The Holy Bible is not a book of don’t, but rather, it is instruction for your life can be through obedience to His will, the work and wait will be worth it. Because God would never go back nor will He ever go back on His promises. Christ even told us “In My Father’s house are many mansions; if it were not so, I would have told you. I go to prepare a place for you.” (John chapter 14, verse 2). Just remember, you only get it if you endure till the end. Trust me when I say, if you continue to walk in the edges of Jesus Holy light and disobey God’s Holy Scripture (meaning, word of God), your eternal happiness and wish to be with Him in heaven is not going to be guaranteed. You will find yourself and your soul in major jeopardy. Well your eternal soul will. Which is far worst then you can ever imagine. Please take very, very seriously the gift of your salvation to heart. Let it and your love for Jesus help you and guide you on your path to His way for your life and eternity. Keep in mind it does not define who you are, unless you refuse to change. Recovery from any addiction is tough in it’s self. This you know already. To recover fully from an addiction takes work and perseverance every waking moment of everyday. It is a gift of unconditional Love of God which you except and that allows you back into the fold of His flock. As you achieve sobriety and longevity from what keeps you from the Father, you will realize how precious a gift you have with Him an in Him. I really mean this, you will not like or want to be one of the goats when He returns. You will however, wish, you were one of His flock of sheep on that day. Yet, it will be too late and you can’t say at that time, you did not know, unless you flatly refuse His word and His will in your life now and forever. Then your fate is sealed, your choice is made and you and only you will have to live with it for eternity. Then you must turn your life and will over to Christ and repent an continue to walk with Christ all the days of this life, no matter how hard or tough things get. You can’t loss faith in Him either, for to have faith is to “trust unconditionally” and if you do not trust unconditionally, then you have no faith. Which is to have no respect for Him who gives you all things in this life, even the things He takes away from you is His will. And most likely within His plan for your life here on earth. But that is a whole other sermon in its self. So please, stay out of the gray light, Stay away from the darkness that the world offers, work hard to change from a selfish way, as well as Pray from your heart, and read (Matthew chapter 6, verse 6), for inspiration. Amongst everything in this world, seek first those things that are pleasing unto God your Father. Take to heart (Mathew chapter 6, verse 33), “ But seek first the kingdom of God and His righteousness, and all these things shall be added to you.” So folks, search your heart now and begin to work on returning to do His will in your life. 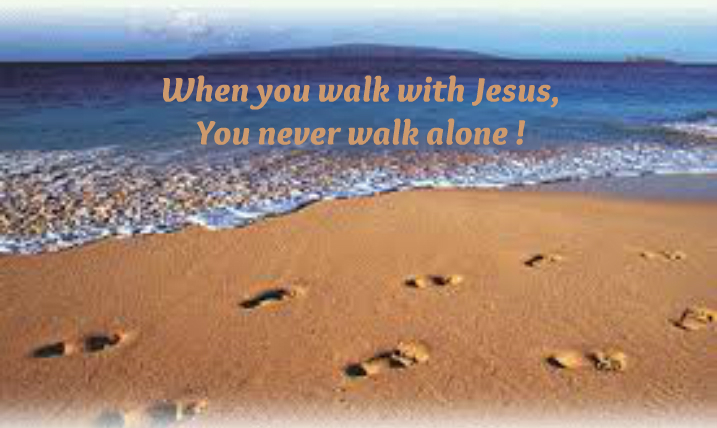 You are not alone.” EVER”, that is to say, when you walk with Christ. But if not, then you just might be alone and suffering for eternity. So with much love and respect to all persons, In the Holy name of Jesus Christ, I pray for you! and in His light, FOREVER and EVER. Amen ! Bishop Andrew R. M. Manley DD., Th.D., M.R.Php. O.S.A., O.S.P., O.S.B., and the S.O.BB. Celtic Cross Foundation of Ministry, Celtic Cross Ministry and all of its divisions and subdivisions. 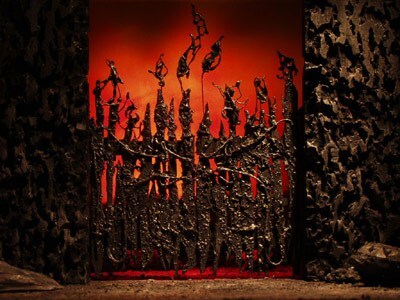 This entry was posted in CCM's Virtual Chapel, Christian Warrior Network, Religion, Spiritual insight, Uncategorized. Bookmark the permalink.